Auntie Belham's Cabin Rentals in both Pigeon Forge and Gatlinburg, TN, offer years of experience in helping visitors plan their vacations to the Smoky Mountains. Quality and knowledge count in the hospitality business and their years of experience can make you trip planning easy and efficient. Their personalized and expert service will not only get you the right cabin in the right place with all of the right amenities, but their agents can guide you to the right places to go to enjoy all of the activities that the Great Smoky Mountains have to offer. Previous guests of Auntie Belham's leave very positive reviews confirming that he promises were kept. "We had a wonderful experience!" "The cabin was beautiful. Very clean and accommodating." "Everything great. Perfect location for our needs." "We were exceptionally well informed from booking to check-out. It was a great vacation experience!" "Very friendly staff. Very clean cabin, it felt like home." Auntie Belham's offers cabins from one to nine bedrooms, Pet-friendly cabins, cabins with Theater Rooms, Riverside locations, Condos and cabins throughout the area, Gatlinburg, Pigeon Forge, Sevierville locations and in the surrounding mountains and on rivers and streams. And with every booking they offer over $200 in savings with their Smoky Mountain Adventure Pass. Places like Ripley's Aquarium of the Smokies, WonderWorks and the Hatfield & McCoy Dinner Show. Your friendly Auntie Belham's agent will help you plan and book your visit to many of the attractions, theaters, museums and dinner shows in the area. They have been to these activities and will help guide you to your perfect destination. If you want to bone-up on things to do in the Smoky Mountains before you call Auntie Belham's go to the Best Read Guide website at http://www.bestreadguidesmokymountains.com/. You can click over to Auntie Belham's site directly from the BRG site. 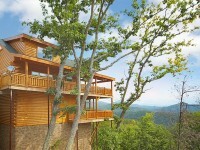 Enjoy your trip to the Smokies!! Wow What a place ! It is really a great place for spent holiday vacation, I have visited many places like that on holiday vacation, I really enjoy there. 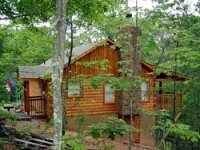 Get the offer of luxury Cabins in Sevierville for holiday vacation.